I could not put this book down. Michelle Teichman did an amazing job of making you feel everything right along with the characters. She perfectly captures the feeling of first love, and all of the overwhelming and exciting emotions that come along with it. You instantly become immersed in the love story that is Harper and Sarah, and find yourself rooting for their love to win. I felt like I was back in high school again – spicy fries and all! Michelle is a wonderful story teller; I’m looking forward to reading more. I previously read Teichman’s “The Gentleman” and absolutely loved it. When I heard she released another piece, I was anxious to explore more of her work. Although it was a divergence from my usual topics, “The Space Between” is a wonderful read! It is a feel good story where our young heroines actually have a (warning: spoiler alert) “lives-happily-ever-after” ending. Teichman does a great job of making the reader feel the characters angst, desires, insecurities, and finally, self acceptance. At first I was concerned this book was geared toward a teen market, but the character introspection touches themes that adults can also understand: spirituality, societal pressures, and of course, the strong bonds of love (familial and of partner/spouse). I really enjoyed it! Disclaimer: I received a free copy from the publisher in exchange for an honest review. I absolutely loved this book! I couldn’t put it down and finished it in one day. I just couldn’t wait to find out what would happen to the characters. It reminded me so much of my own high school experience, and of the people who walk in and out of our lives that for those few years, seem like the most important people in the world, and it is all but impossible to imagine a life beyond high school. Every embarrassment, every accomplishment, and every bit of anguished torment that the characters feel was so real that you really felt like you were in the moment and along on their journey with them. Michelle has a funny way of describing every day situations that makes you laugh, and then two minutes later you’re holding back tears for the same characters, which is so true of real life. 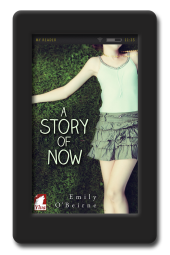 This story is a must-read for LGBT teens and young adults going through the same thoughts and feelings as our heroine, Harper. 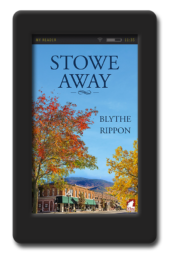 By the end of the book, I felt like I knew the characters so intimately, and I love that the author included an epilogue, so that her readers know how it all turns out. Just like real life, there is anguish, joy, heartache, and the unexpected around every turn, and this book captured that absolutely. I can’t wait for her next book! Note: I received an advanced copy from the publisher in exchange for a review. The Space Between will bring back memories you never thought you could forget. It’s for anyone who has ever fallen in love with the wrong person and struggled with finding themselves. Once I picked it up, I couldn’t put it down. I think the writer captures very well the different dynamics in high school; the cool kids, the not so cool kids, and she really gives a good grasp of how each person feels. The characters’ emotions were very strong, not just how they feel for each other but about themselves and their lives. The writer did a great job of showing their insecurities, which made them very relatable. Reading this book made me feel young again. I thoroughly enjoyed how the curriculum they were leaning in school related to the characters’ journey. I have a crush on Harper, she was such a real and wonderful character. I think this book is helpful to youth, not just LGBT because of how well it covers the social standings, it truly speaks to everyone in that age bracket. Teichman’s story immediately brings the reader back to their High School days – those years of awkwardness and trying to fit in. Her character development is excellent and their story really pulls the reader in. 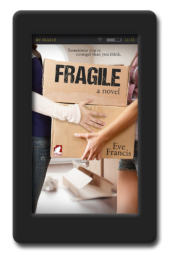 Harper and Sarah’s love for each other comes out of such a natural place, as the reader you can relate to their adolescent innocence and naïveté; falling in love without realizing what’s happening. I thoroughly enjoyed the read. Beautifully written, this story instantly captured my interest. The characters are relatable, and explore so well the awkwardness of high school and adolescence, the social pressures that kids feel, and the struggle between being true to yourself, and fitting in. I look forward to reading more books by Michelle Teichman. Note: I received a free copy of this book from the publisher to leave an honest review. What an incredible read. I had no idea what the plot was going to entail and every chapter got better and better. This novel took me back to my personal High School journey and struggles, the memories and feelings were so real for me, I could closely relate. A must read!!! I simply could not put this captivating book down; I felt so immersed in the emotions of the characters that I just had to finish it quickly. Like other reviewers, I felt like I was back in high school. The characters were well developed and the plot was both realistic and entertaining. Much like actual high school events, I was never certain where the story would go, and as it twisted through the ups and downs I found myself thinking “Ok, I’ll just read one more chapter.” This was the first of Teichman’s books I have read and I’m very eager to read both her previous book as well as whatever comes next! Once I started this book I couldn’t put it down – I had to know where Harper and Sarah’s journey would take them! And like any great love story you won’t be disappointed. The author’s ability to write real characters was definitely a stand out point for me. I think she did an amazing job of capturing characters that were flawed, yet likable and relatable. Both Harper and Sarah’s inner struggles to overcome their fear and lead an authentic life is something teenagers, and even adults, can all relate to. I can’t wait to read more from Michelle Teichman! Terrific read!!! Michelle captures the innocence, emotions and struggles of coming to terms with who we are at the most impressionable and vulnerable time of adolescents. I strongly recommend this novel and be prepared to not put it down! The author has poignantly captured the highs and lows of high school love and its enveloping nature. I enjoyed the fact that the author continually used the “space between” as a reoccurring theme to illustrate the ebb and flow of Harper and Sarah’s relationship. This was a great book. The story was super cute and very engaging. I read the whole book in one day. I thought it was well written and the characters were very developed and believable. I also love that it was set in Toronto, making it really easy to imagine the characters interacting in so many familiar places. I see awards in the future for this book. I look forward to reading more from Ms. Teichman very soon. “The Space Between” was one of the best books I have ever read in the genre. I couldn’t put it down and read the whole book in only a couple sittings. Not only were the main characters well developed, but they were relatable. I just wish the book would have been out around the time I was dealing with similar issues. I can’t wait to read more from this author. this is an excellent coming of age novel for teens and young adults navigating through the confusing years that are high school. the author’s depth of character right away pulls you into the story and keeps you invested in their outcome. I couldn’t put the book down!! With each chapter, the book became more and more alive. The Space Between captures well characters personal and social struggles, while steering the plot to positive outcomes. 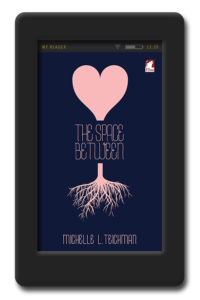 The Space Between is wonderfully written, sensual and full of passion; be prepared to read it in one sitting!! It is so rare for me to find a book that I can read and get lost within the pages. This is one of them. From front to back I loved it. Harper Isabelle is the leader of the grade nine cool crowd as soon as she walks into her first day of high school, thanks to her older sister Bronte. Bronte is the Queen Bee of the entire school and she has been molding Harper in her likeness for years. As a shy artist, inclined to keep to herself, Sarah has never been good at socializing. Kids often bully her in school, especially cruel about her stutter and her alternative style, despite her popular twin brother, Tyler. It doesn’t help that she’s a pastor’s kid, with all of the extra restrictions Evangelical girls have put upon them. Harper is rounding a corner on her way to class when she crashes into Sarah. The moment the two girls come face to face, their worlds collide and a chain reaction is set off. 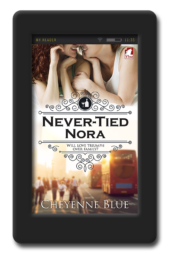 From friendship to confusing feelings, there is no going back and no denying the feelings developing between them, even as Harper dates Tyler. The Space Between is well worth a read, and is especially important to give to queer kids you know in religious homes so they can experience the validation of seeing themselves. That representation is what takes The Space Between from a great book to an important book and I look forward to see what comes next from Michelle L. Teichman.